The Cotswolds Discovery Centre & Cafe is the visitor centre for the Cotswolds Area of Outstanding Natural Beauty (AONB), a place where you will learn and discover more about this beautiful and unique protected landscape and how people have helped shape it over thousands of years. PLEASE NOTE Sorry, the Centre and Cafe are closed for major refurbishment, we will be reopening later in the year. Please check back for updates. Housed in the grade II* listed Old Prison, a fascinating 18th century building and now a unique historic visitor attraction in the Cotswold market town of Northleach. The centre is also home to the Cotswolds Conservation Board, the Cotswold Lion Cafe and the Cotswolds Dry Stone Walling Academy. Keep up with the latest news at the Centre by liking our Facebook page! 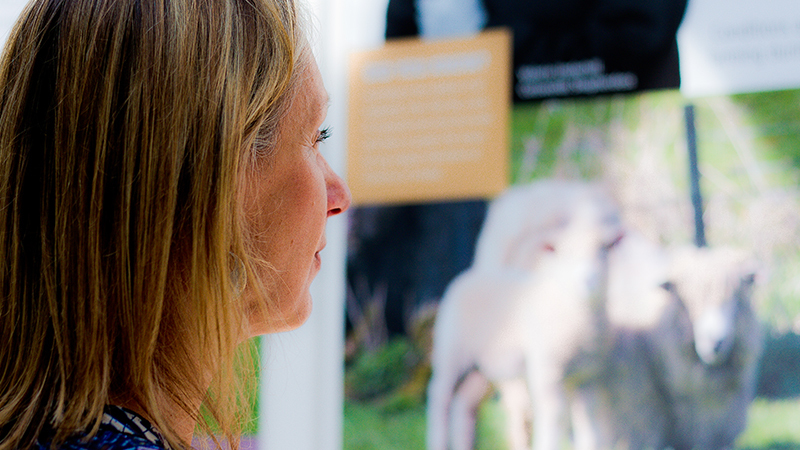 Through imaginatively designed information displays you will learn how geology has shaped the landscape; when dinosaurs first roamed the area; and how the wealth of the area came as a result of the ‘golden fleece’ of the Cotswolds sheep. You will also find inspiration for great places to discover and visit across the Cotswolds AONB such as historic and sites, gardens, wildflower grasslands, ancient woodlands plus the Cotswold Way National Trail which runs the length of the Cotswolds escarpment providing sweeping views for miles. Housed within the grounds of the Cotswolds Discovery Centre is the unique Lloyd Baker Rural Life Collection – a wonderful display of historic agricultural and farming machinery. 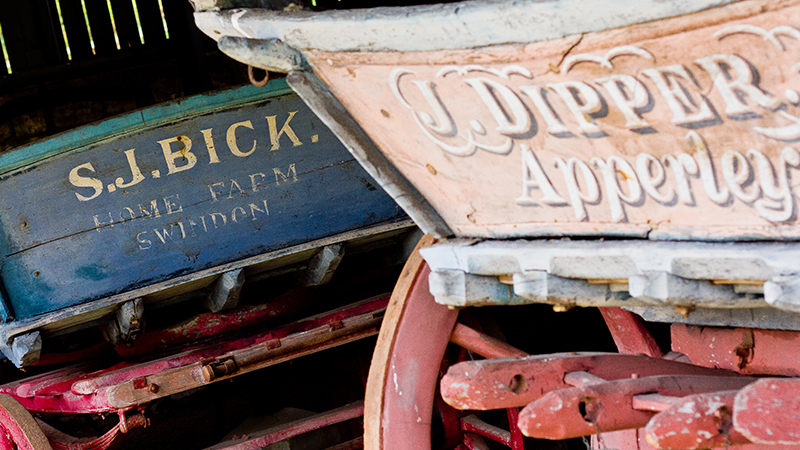 This fascinating and nationally important collection of farm wagons, carts and implements along with two shepherds huts, will take you back in time to the days when the land was toiled by man and beast and tractors hadn’t yet been invented. A visit to the Old Prison offers you a unique glimpse into life in a 19th century house of correction. Built in the 1790s, this was once a fine example of a model prison used to inspire better care and rehabilitation of prisoners throughout Britain and further afield. It even served as a blueprint for London’s Pentonville Prison. Over the years the building has seen many changes of use including a police station, petty sessional court and tramp station. 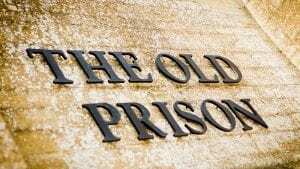 You can still see one of the original cell blocks built in 1844 along with the historic court room which was in use right up until the 1970s. 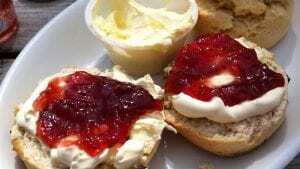 The Cotswold Lion Cafe serves delicious cakes and afternoon teas, along with speciality teas, coffee and soft drinks. There is outdoor seating available in the family friendly courtyard where you can relax and enjoy your visit, or get snuggly warm in front of our new wood burning stove. We use local suppliers where we can and provide a friendly welcome to all, whether you are arriving by car, bus, on two wheels, or foot or with your dog. The cafe is licensed and is also available to hire for your own private party or event. Our Cotswold shop within the cafe stocks a selection of local food and drink products and a range of unique hand-made gifts and art works. The shop also stocks maps, guides and books to help you explore the Cotswolds further. Access: Wheelchair access to café and shop, courtroom, courtyard and exhibition gallery. Baby changing/family room. Admission: Admission to the centre is free (donations welcome). Charges may apply for events and workshops. Group visits welcome but advance booking necessary. Booking is essential for rural skills and crafts courses. Foot: The Monarch’s Way & North Cotswold Diamond Way run adjacent to the centre. Cycle: 2 minutes from the Windrush Valley Cycle Route (National Route 48). Bus: Pulham’s bus services 855, 801 and Swanbrook service 853. Free Parking: Plentiful free parking is available. Disabled parking bays are located directly outside the entrance of the centre.